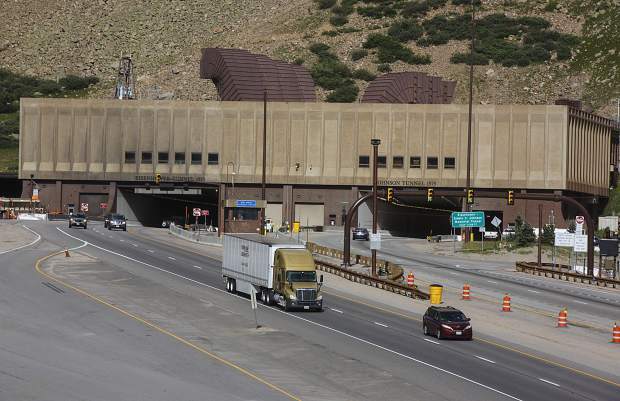 Traffic passes through interstate 70 via Eisenhower Tunnel Tuesday. 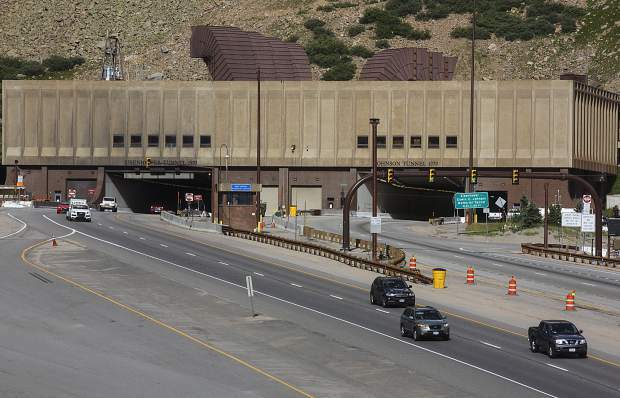 Traffic passes through Eisenhower Tunnel Tuesday. 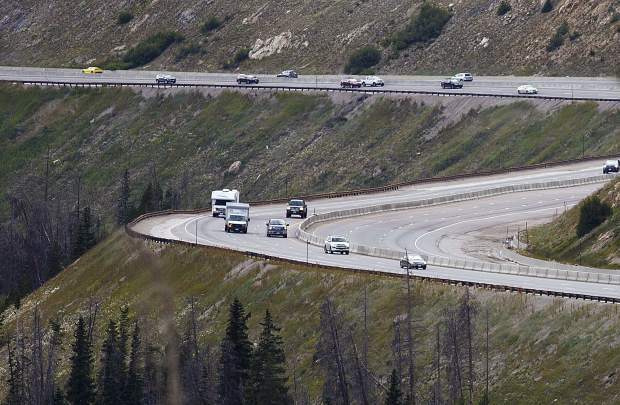 Traffic passes through Eisenhower Tunnel. 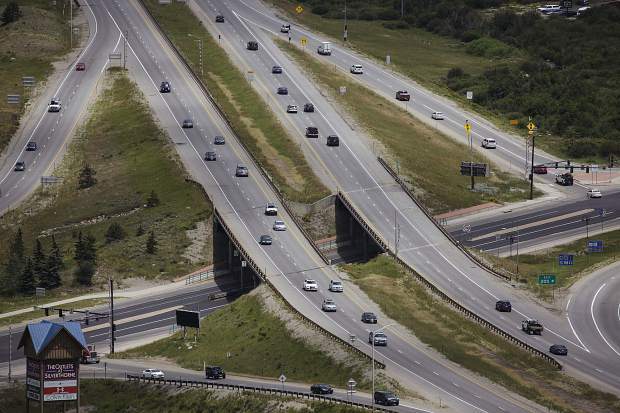 Traffic passes through the intersection of Interstate 70 and Highway 6 Wednesday. 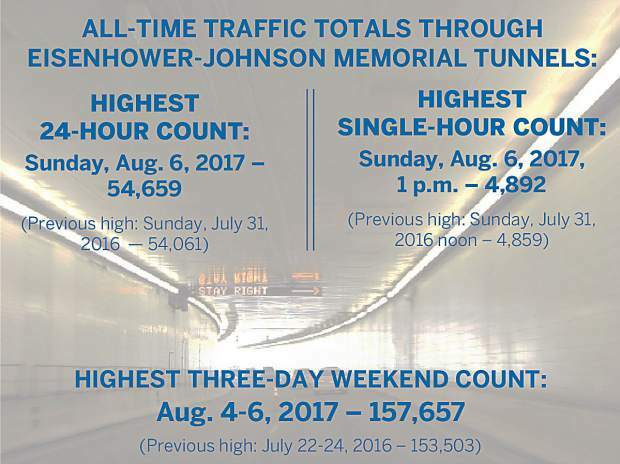 After setting a record each of the past two years, traffic through both directions of the Eisenhower-Johnson Memorial Tunnel is once again surpassing all-time highs this summer. 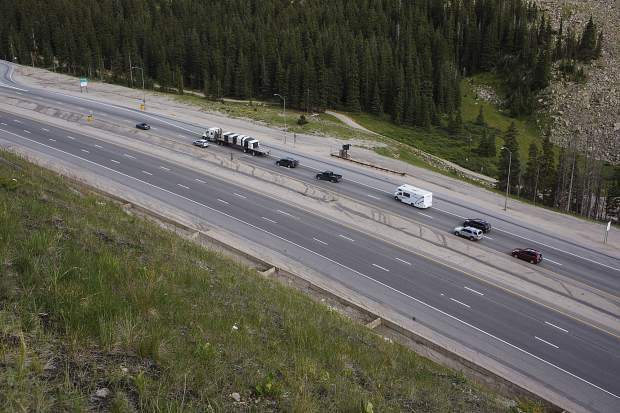 Recently released data from the Colorado Department of Transportation confirmed that the weekend of Aug. 4-6 is the new titleholder, with more than 157,600 vehicles passing through the main artery of the Interstate 70 mountain corridor. 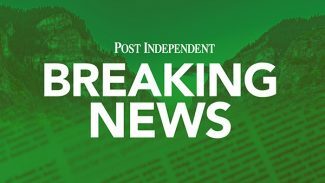 The three-day number shattered the prior high-water mark set just this past summer over July 29-31 by more than 4,000 cars. The same was true in 2016 when the last weekend of July eventually overtook the previous year’s 150,500 record tally. 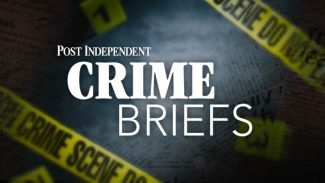 A single winter weekend cracks the top 10 counts, when a hair under 149,000 vehicles passed through during a spring break rush over March 18-20. Across the board and multiple categories, the summer months lead the pack. By itself, Aug. 6 reigns supreme. 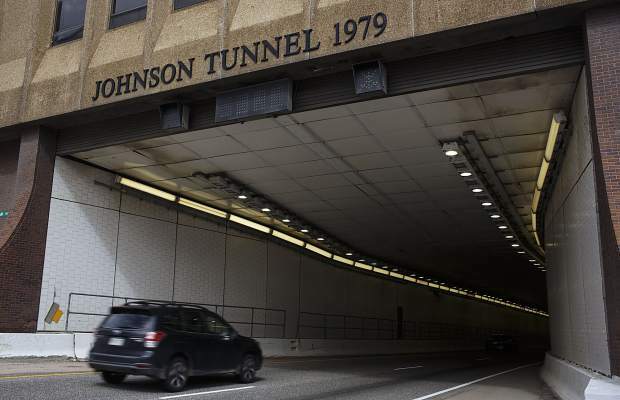 The first Sunday of the month now also holds all-time records for most cars through the tunnels over a single hour (4,892, at 1 p.m.) and most during a 24-hour stretch (54,659). The latter smashed the prior figure by 600 vehicles, whereas the difference between the former No. 1 and No. 2 — each occurring on a Sunday afternoon as well — was just 150. 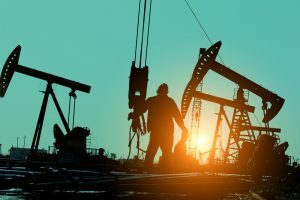 The reasons for the sizable increases year over year are difficult to pinpoint. Low fuel costs and a stable, favorable economy are likely spurring on more travel. 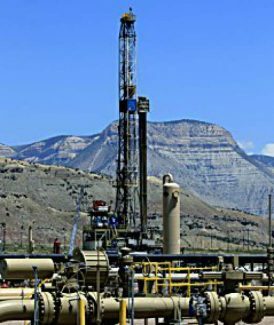 Statewide gains in population, particularly along the Front Range, is almost certainly another factor. U.S. Census Bureau data puts the state’s population at approximately 5.5 million, up more than 90,000 people — or 1.7 percent — since the previous July. 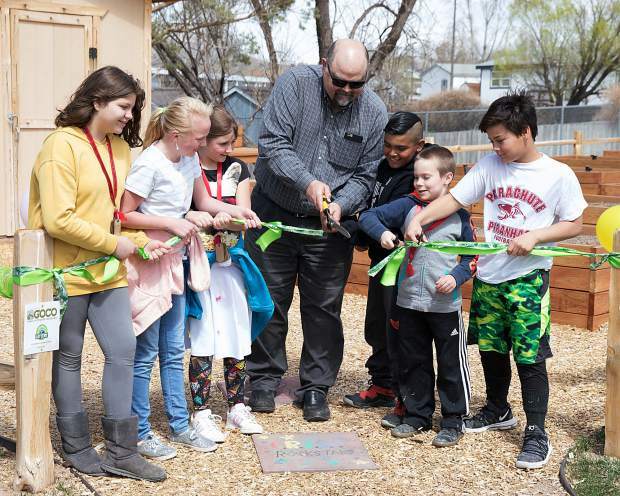 Those numbers translate to Colorado having the seventh-fastest rate of growth in the nation. Denver, meanwhile, is growing a bit quicker, at somewhere around 2 percent. Demographers are confident the capital city will eclipse a population of 700,000 by the close of 2017. Data tabulated by CDOT through the tunnels support each of those statistics. The aggregate from 2013 to 2014 grew almost 4 percent; and then 5 percent, and most recently 8 percent — approximately 850,000 more cars year to year — from 2015 to 2016. End of the year totals won’t be available until early 2018. Based on the initial summer visits, however, as well as the annual percentage growth of these last four cycles, it looks as though the trend will continue.